The Planned Parenthood billboards contain photos of women who have had an abortion, and they contain statements like “I had an abortion and I am not ashamed,” or “I had an abortion and I am not apologizing.” When the billboards appeared, IFL and the Coalition of Pro-Life Leaders sprang to action, quickly setting up a webpage and raising funds to launch their own counter campaign. “We immediately raised funds to counter with our own billboard campaign which mimics Planned Parenthood’s look, but with the other side of the abortion position displayed,” said Tom Quiner, board president of IFL. While these aren’t the first pro-life billboards, they might just be the first of their kind. While other pro-life campaigns aim to convey heartwarming encouragement for choosing life, these billboards focus on post-abortive pain, trauma, and regret. 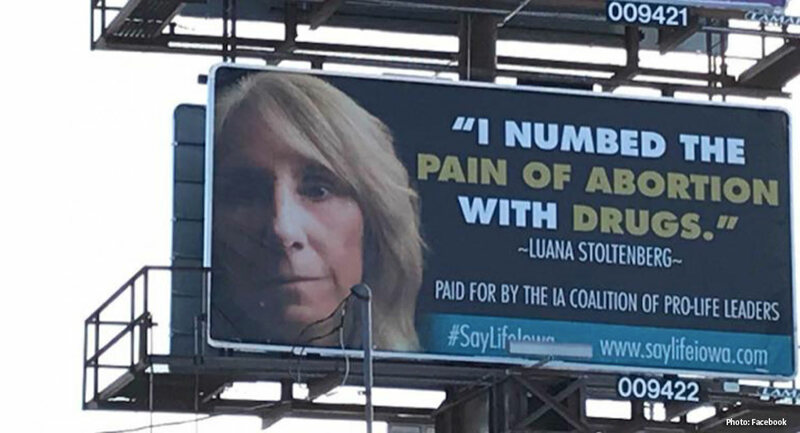 “Our billboards are a direct rebuttal to Planned Parenthood’s messaging by presenting the reality of the pain, violence, and degradation of human abortion,” said Quiner. Once they are all hung, the billboards will be in Des Moines, Cedar Falls/Waterloo, Ames, Iowa City, and Council Bluffs.